Collection of LED track projectors for commercial and institutional applications. Original design with circular driver housing and harmonious proportions. 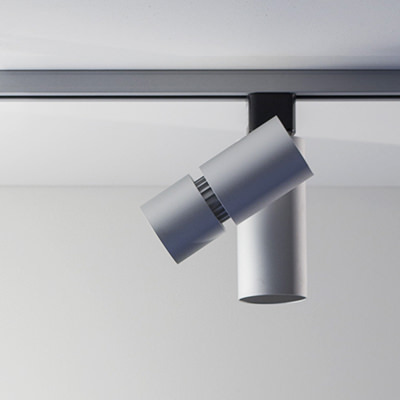 This elegant family of projectors is suitable for most modern interiors. Exceptional build quality form CNC machined aluminum and anodized finishes. Industry leading LED platform yields reliable color consistency and output performance during the life of the product. 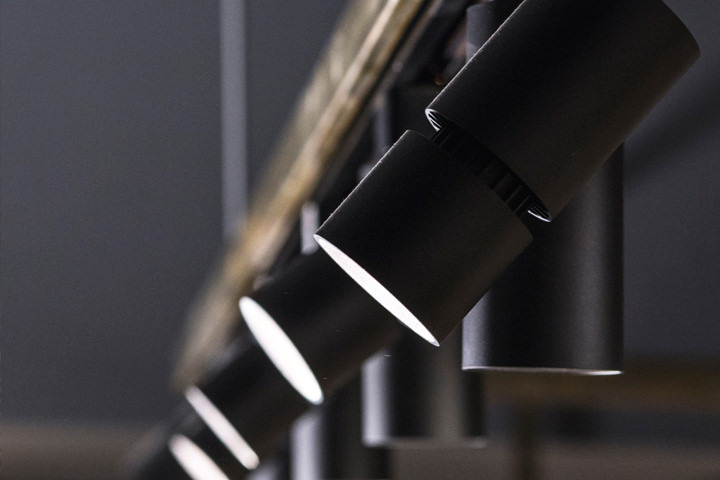 Producing almost 2800 lumens the Faretto series is among the best performing luminaires in the industry. Supplied with Triac or ELV dimmable driver compatible with most incandescent dimmer. 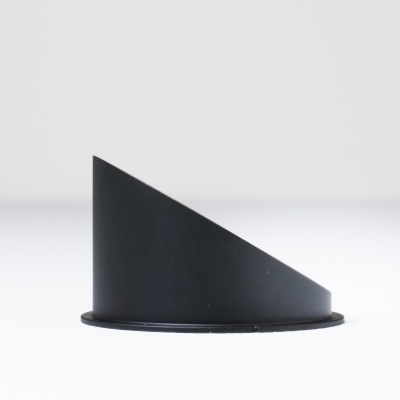 A complete range of accessories is available for applications where shielding the light aperture is desired. Colorless optical glass lenses allow to further customize the light distribution. Professional tracks systems suitable for architectural or retail applications. Recessed, surface mounted or suspended these system are suitable for commercial or institutional applications. Tracks with dedicated data conductors for other dimming protocols are available on demand, please consult your sales representative.